2017 In A Sentence: There were no wins for the Keydets, and no promise of better things to come, either, for arguably the most woebegone program in FCS. Biggest Shoes to Fill: LB Allan Cratsenberg, the rock of the VMI defense, did everything asked of him, finishing his impressive Keydet career with a senior season of 118 tackles, 6 tackles for loss, and 3 interceptions. Key Player: Retired Gen. J.H. Binford Peay III, VMI’s superintendent, actually lettered in football for the Keydets in 1961. Since he assumed the top job on campus, however, the Keydets have an overall gridiron record of 34-134. 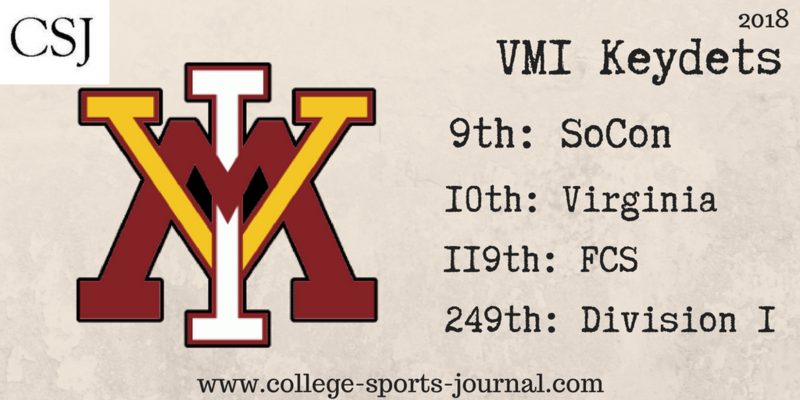 VMI had an incredible amount of turnover during the offseason on both its coaching staff and its roster, and some observers are questioning how much interest the VMI administration actually has in having a competitive program. Thus, this season Peay is listed as the Keydets’ “key player”. If VMI is to turn things around, it might be with promising LB Devin Carper, a redshirt freshman who showed some promise last year. Fearless Prediction: Division II Tusculum College comes to Lexington in November. It’s going to be the best possibility for a Keydet victory this year. Otherwise, another 0-11 season looms.